Are you familiar with the video game Tetris? I’ve loved it since I first played it in the 90s. 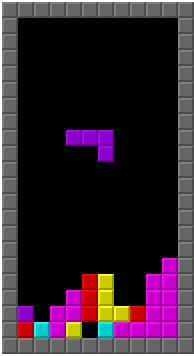 In the game, falling blocks appear at the top of your screen. If you rotate and shift them so they click neatly into place before they reach the bottom, a whole row disappears. That allows you access the next row, and then the next row, and the next, finally clearing away all the clutter and winning the game. In short: to reach and fix the foundation, you must start from the outside and work your way in. It’s the same theory behind writing to heal. You come at it from the surface, lining up feelings as best you can. Maybe you have a vague unease from your childhood or a nagging sense that you’re a fraud and everyone is going to find out. You start by writing about what made you feel uneasy or shameful today, putting aside ten minutes (set your timer) to write without judgment. That clears away the top level. Tomorrow, you go a little deeper, fishing for memories of feeling out of place or ashamed in your life. List as many as you can in ten minutes. The next day, pick one of those memories that pinged for you and explore it in a ten-minute writing sprint, bringing in as much detail as you can. Who else was there? What did the emotion feel like in your body—tight chest? Tingling ears? What words were said? Don’t try to make sense of it. Describe it. --Transform it into a short story. Change names, locations, time periods, whatever is needed for you to feel comfortable calling it fiction. Then publish it. Look for a short story contest, start a blog, go to Kindle Direct Publishing and upload it, email it to a friend who likes short fiction, whatever makes sense to you. Your goal is to have at least one person read it. --Tell someone you trust about the actual memory. --Post the memory and your feelings/realizations around it to social media. This is for the exceptionally brave. It has been my experience, without fail, that when I make myself vulnerable and authentic on social media, I get the same in return. That doesn’t make it any less terrifying to reveal a super TRUE part of me, though. That said, if you feel comfortable doing this, you’ll not only be helping yourself and getting a better idea of who your tribe is, you’ll be putting healing truth into a world that sorely needs it. Whichever of those three ways you choose to share your story, you’ll find something beautiful happening: that “row” (ie, that specific personal block) disappears. You’ve lined up the feelings and the memories, and they no longer have the power to trigger or blindside you. As a bonus (in a “take your vitamins, you’ll feel better” sort of way), you now have access to the row right below it. Come at it this next personal block the same way. Then go to the next row, and the next, clearing away the clutter and winning the game, which to me looks like living an authentic, confident life, one steered by integrity and true connection. DAY ONE: Set a timer for ten minutes. At the top of your paper, write, “I feel…” Write without judgment or pause until the timer goes off, getting all your feelings down. DAY TWO: Choose a feeling from the Day One freewrite. Set a timer for ten minutes. At the top of your paper, write, “Things that make me feel (Day One feeling) are…” Write without judgment or pause until the timer goes off, listing everything that makes you feel that way. DAY THREE: Choose a memory from the Day Two freewrite. Set a timer for ten minutes. At the top of your paper, write, “What I remember about (Day Two memory) is…” Write without judgment or pause until the timer goes off, describing everything you can recall about that incident, particularly sensory (sight, sound, smell, taste, touch) details. DAY FOUR: Repeat Day Three activity as many times as needed until you feel like you have squeezed all the juice out of the memory. You’ll know when this is. DAY FIVE: Choose how you’re going to share your story: craft it into a fictional short story, tell a friend, or post on social media. If you go the short story route, I recommend reading Damon Knight’s Creating Short Fiction for guidance. If you’re choose the posting to social media route, check out Brene Brown’s, Elizabeth Gilbert’s, and Nora McInerney’s Facebook pages for models as well as a glimpse into the sorts of responses you may expect. Five days of writing. A lifetime of relief.